Summer is Coming! We’re all searching for that healthy tan that puts us in a better mood, but is there such a thing as a healthy tan? 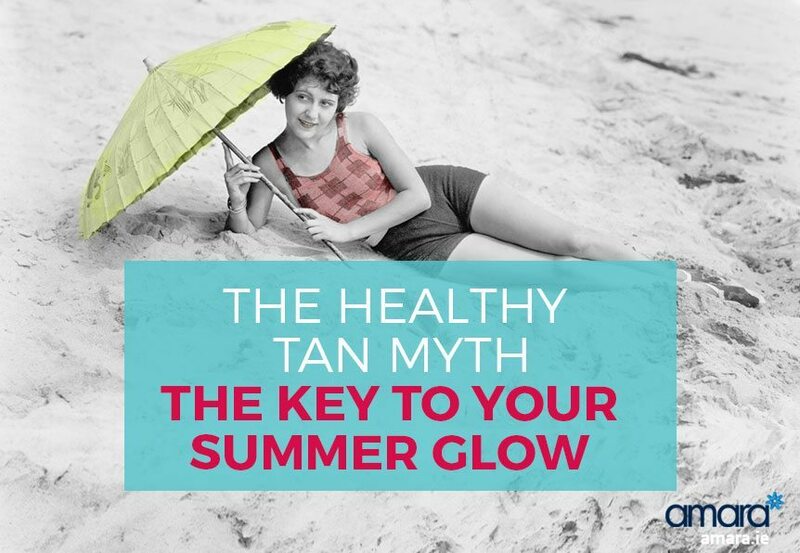 Let’s find out a bit more about the healthy tan myth and explain the key to your perfect summer glow! In Ireland we are more likely to freckle than to tan, freckles are most common on the face but can appear anywhere on the body – the more exposure the area has with the sun the more freckles are likely. Do you have freckles? Where are they more prominent? We’ve all heard some myths about tanning but are they true? We go through some common ones below! Many of us think that having a light tan before we go perhaps for a sun bed will stop us from getting burnt or damaging our skin later – this is not true! We now know a tan is not healthy but is a sign that our skin is already damaged. You might think well it’s already tanned it can’t get worse! Again, not true. Every time your skin is exposed to the sun it has the chance of getting damaged. Wearing a high SPF and avoiding the sun at its highest peak is essential to protect your skin. You might think that the sun will help treat acne and breakouts by drying out your skin but it can actually make it worse. A tan darkens the skin around the spots and pimples making them stand out less. The sun can damage the skin which actually leads to acne recurring. Sun beds are made up of extremely harmful UV rays – any possible benefit from the sun such as Vitamin D is lost! Many people use no SPF when doing a sun bed and actually use accelerating oils! This causes instant and irreversible damage to your skin. 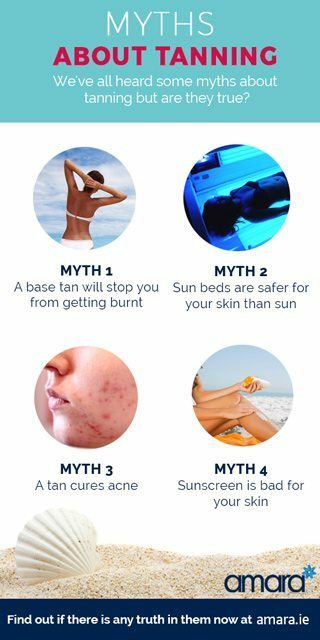 This myth is just ridiculous – most sunscreens on the market have been around for years and are proven to work and protect your skin from the sun. If you are worried about your sunscreen invest in a good one and review the ingredients before you buy. Particularly when you are going on holiday it’s important to use a high SPF such as the ZO Skin Health Range. You should wear a high SPF everyday on your face such as ZO Smart Zone – though this is SPF 50 the Smart Tone technology prevents you from have a baked white face. Doubling up with a foundation with SPF gives your skin extra protection. Apart from increasing our risk of skin cancer and melasma leaving our skin unprotected in the sun causes irreversible ageing and damage. Take this picture of a truck driver who worked on the road for over 20 years. The UV rays shone through the windows of the car severely damaging the skin on that side of his face. Sun can also accelerate acne as we have seen above as well as causing pigmentation and wrinkles. There is a fantastic range of SPF and sunscreen products available, especially from ZO Skin Health, and it’s essential that you use some product to protect your skin. The worst thing to do is go out with no sun protection whatsoever and the tips below will help you protect your skin from the sun. Do you believe that the sun is good for your skin? Or, are you going on holiday and want to get your skin summer ready? Book in for a consultation with our Skin Health Therapist Siobhan today and she’ll make sure your skin is looking great whilst still safe!